Tungaloy UK would like to invite you to visit us on stand D3 and meet some of our team. Fellow members and exhibitors, the forthcoming Made in the Midlands Exhibition is only now 1 week away, I hope you are all prepared for the best show in the 9 year history. Tungaloy UK would like to invite you to visit us on stand D3 and meet some of our team. Like yourselves Tungaloy UK are proud members of the MIM family and this exhibition gives us the opportunity to demonstrate our support for Midlands and UK manufacturing. 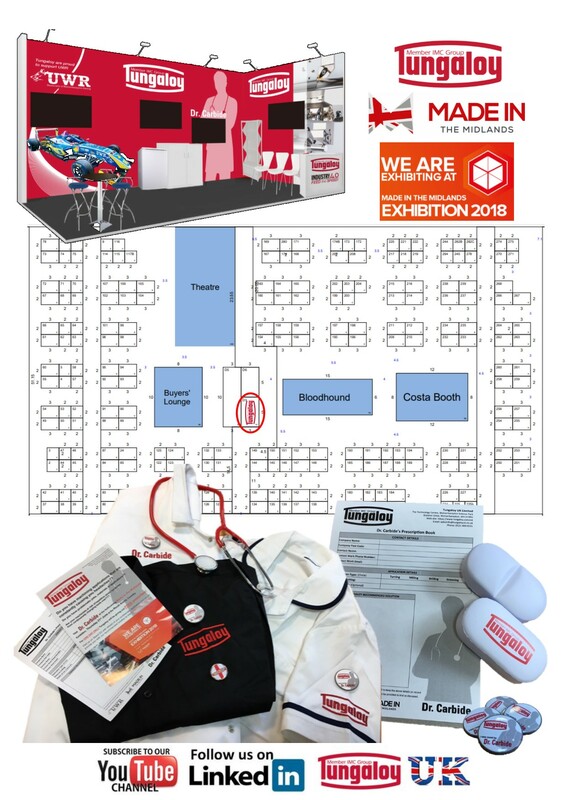 As well as showcasing our Products and Services, you will also find out how we are supporting the University of Wolverhampton battle the dreaded skills gap that continues to creep up on UK manufacturing. Thank you for your time, I hope you or a colleague are able come over and say hello. If youre unable to attend, or make it to the stand but somewhat intrigued about Tungaloy, please do not hesitate to get in touch. Without question we have many industry leading products and would relish an opportunity to demonstrate how we can save your company valuable time and money.